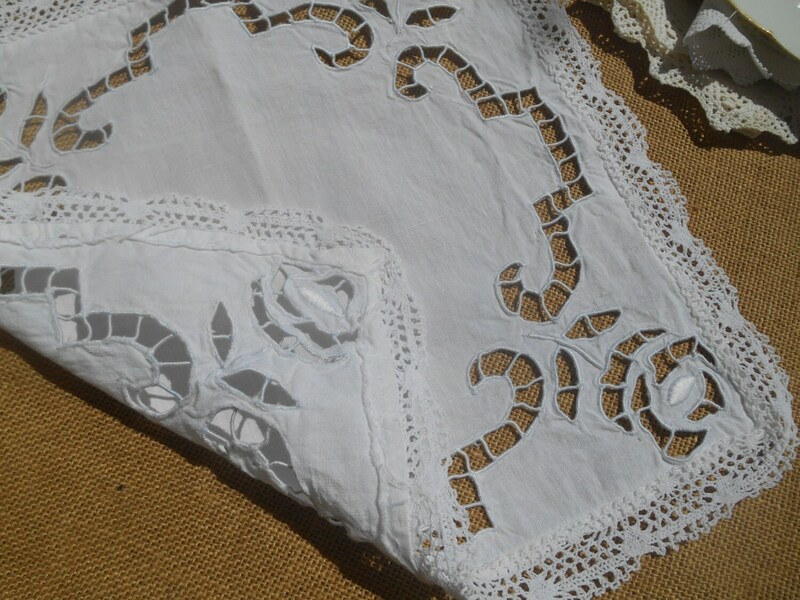 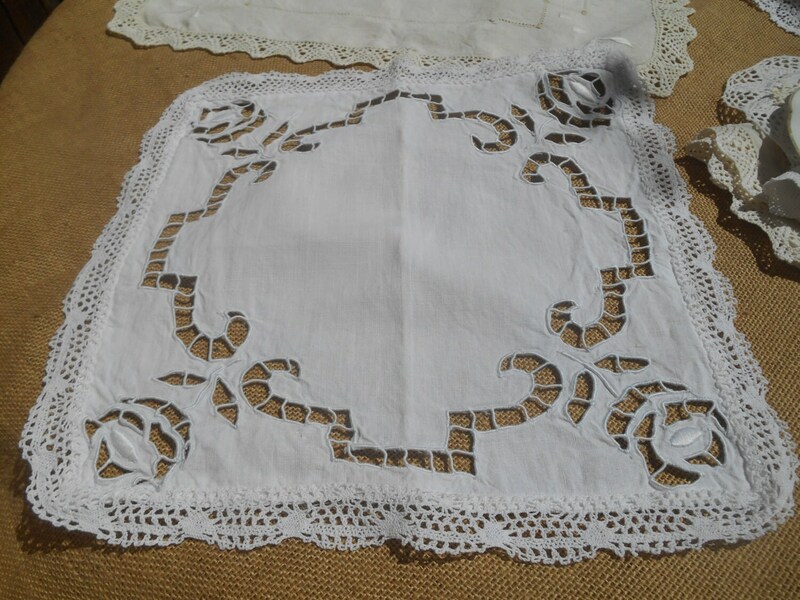 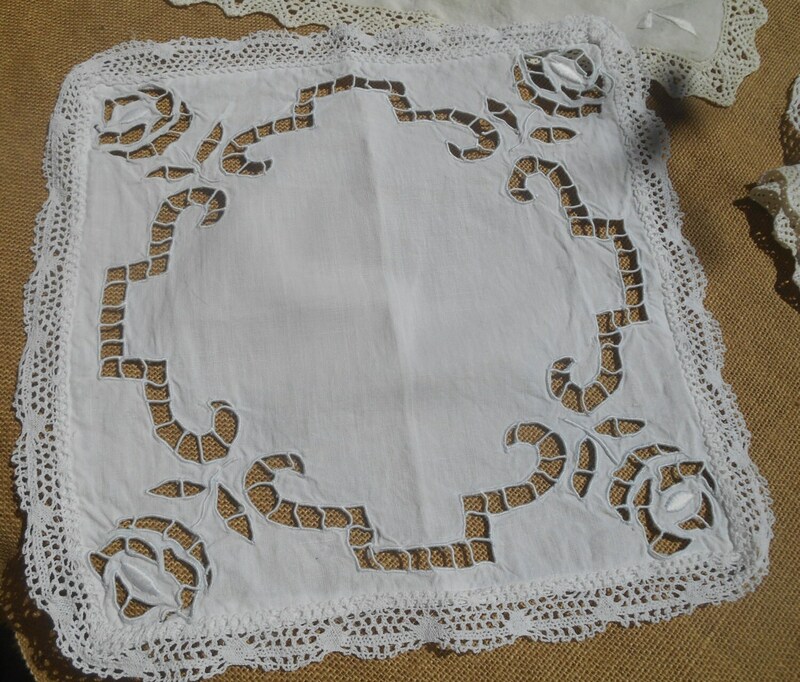 Victorian French Handmade Metis Linen Table Center Doily with Roses lace cutwork . 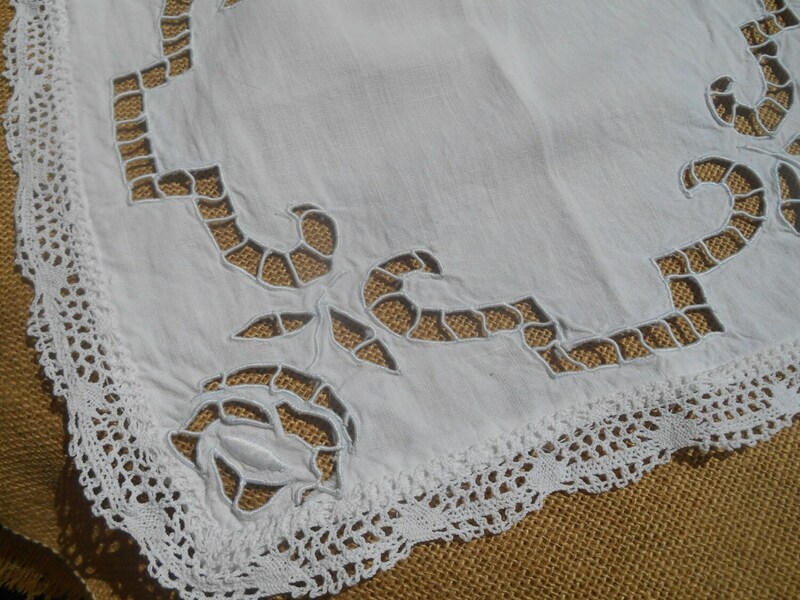 Made of white metis linen( linen woven with cotton). 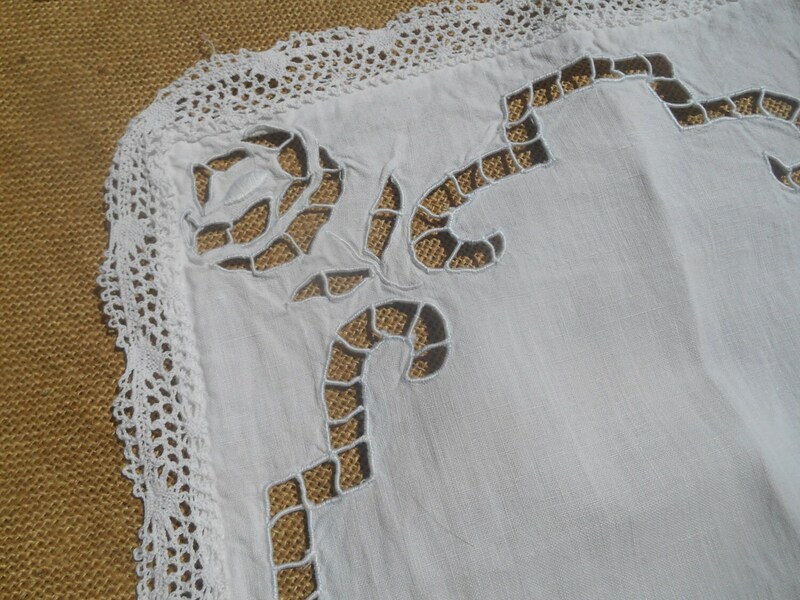 Gorgeous original romantic piece to set on a Table or a piece of furniture !